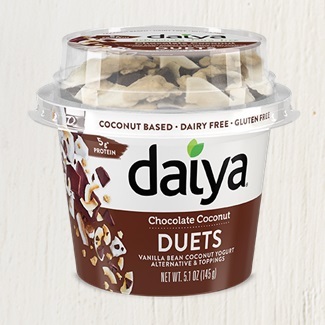 If you like their new coconut cream yogurt formula, then you won’t be able to resist Daiya Duets. 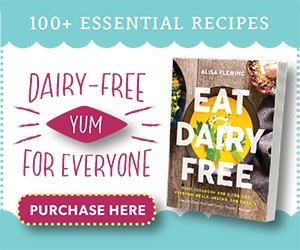 They pair dessert-like flavors of Daiya’s dairy-free yogurt with crunchy allergy-friendly toppings that you toss in when you’re ready to eat. The convenient dual package design keeps the add-ins separate and crisp. 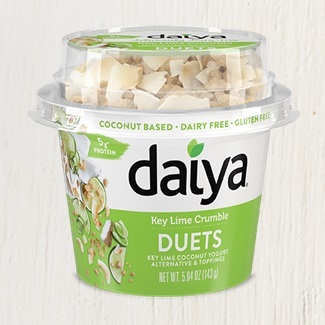 A couple of the yogurt flavors in Daiya Duets are different from their core coconut cream yogurt line up, but they seem to use the same velvety formula. 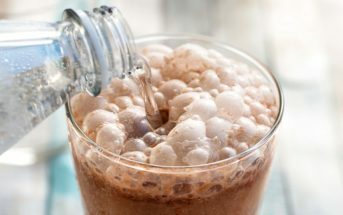 The sweet caramel coconut yogurt alternative is rounded out with a pinch of salt. 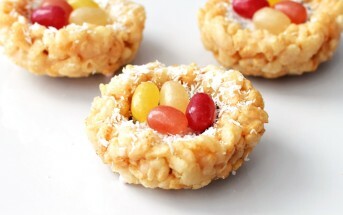 It’s perfectly enticing with the semisweet chocolate, praline pumpkin seed, and gluten-free granola topping. Less “in your face” than lime, this key lime yogurt alternative melds nicely with the coconut cream base. The toppings include gluten-free graham streusel and toasted coconut for the full pie experience. The container implies pure chocolate, but this is actually a vanilla bean yogurt alternative with semi-sweet chocolate chips, gluten-free graham streusel, and toasted coconut on top. 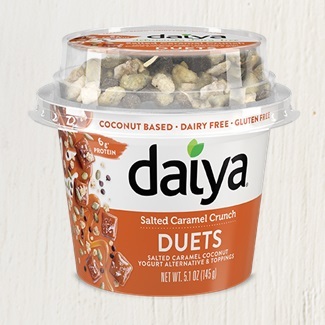 This is the lowest sugar option for Daiya Duets, because it’s made with their “no frills” plain yogurt alternative. 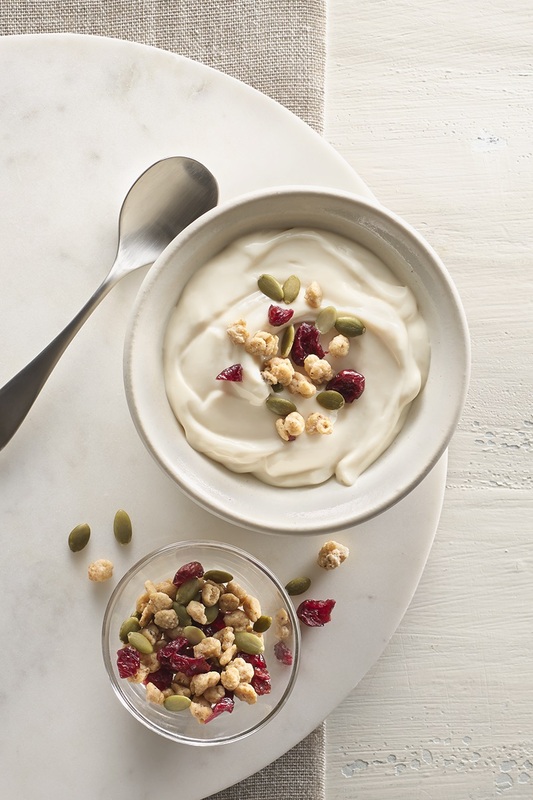 And the breakfast-worthy toppings include cranberry crumbles, gluten-free granola, and roasted pumpkin seeds. 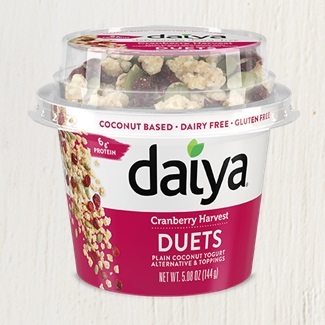 Availability: Daiya Duets are sold in conventional grocers throughout the U.S., like Albertsons, Save Mart, Raleys, and Giant Eagle. In Canada, they are available at Whole Foods Markets. 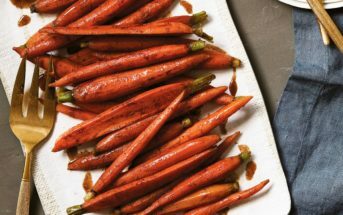 Certifications: Daiya Duets are Certified Vegan and Non-GMO Verified. 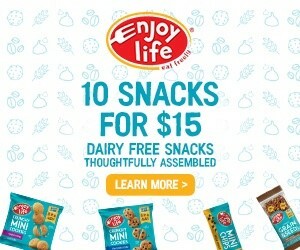 For More Product Information: Visit the Daiya website at daiyafoods.com. I tried the caramel one and was surprised by how sweet and creamy it was. 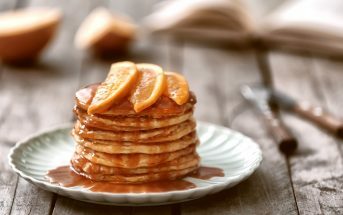 More like dessert than breakfast, especially with the higher sugars and smaller size. But I enjoyed it.